Crows have always gotten a rap for being clever and mysterious -- but could their intelligence levels actually exceed that of human children? A new study conducted by Corina Logan at UC Santa Barbara's SAGE Center has shed some light on the cognitive capabilities of the birds. The study used several versions of the same water replacement paradigm with both New Caledonian crows and human children of varying ages. The testing apparatus consisted of two beakers containing the same volume of water -- however, one beaker was narrow and the other was wide. 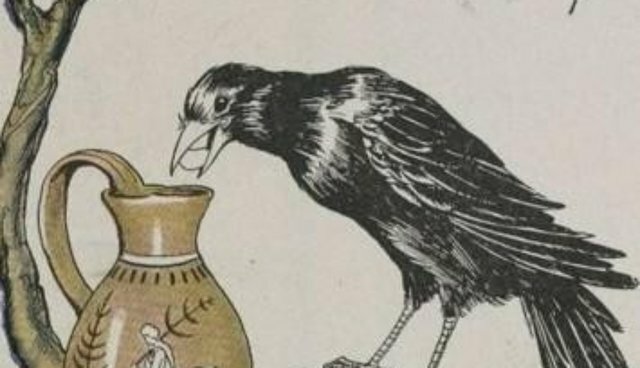 If the crows dropped enough objects in a beaker to raise the water level high enough, they would receive a food reward. The question was a matter of whether or not the birds would be able to distinguish between water volumes. Says Logan, "When we gave them only four objects, they could succeed only in one tube -- the narrower one, because the water level would never get high enough in the wider tube; they were dropping all or most of the objects into the functional tube and getting the food reward. It wasn't just that they preferred this tube, they appeared to know it was more functional." When it came to the children in the study, however, only the 7- to 10-year-olds were able to solve the conundrum. Logan says that this provides the strongest evidence that "the birds attend to cause-and-effect relationships by choosing options that displace more water." However, despite the strong evidence in their favor, there is more testing to be done to determine the crow's causal cognitive processes, and whether they actually go through the same decision-making as the children in the study. Logan is optimistic, though, saying that "We don't know if the same cognitive processes or decisions are happening as with the children, but we now have evidence... (that) it's possible for the birds to pass it." 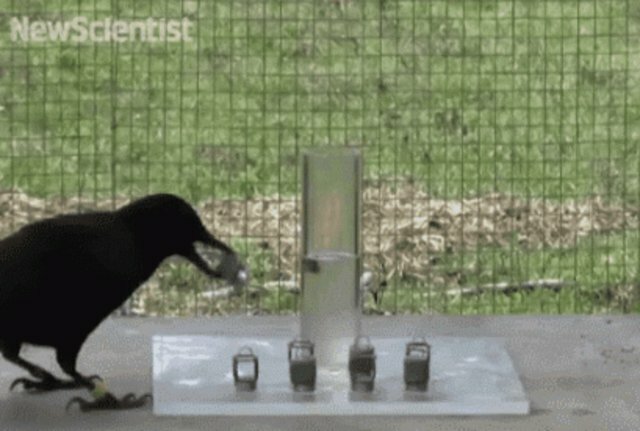 Witness more awesome crow problem-solving here!